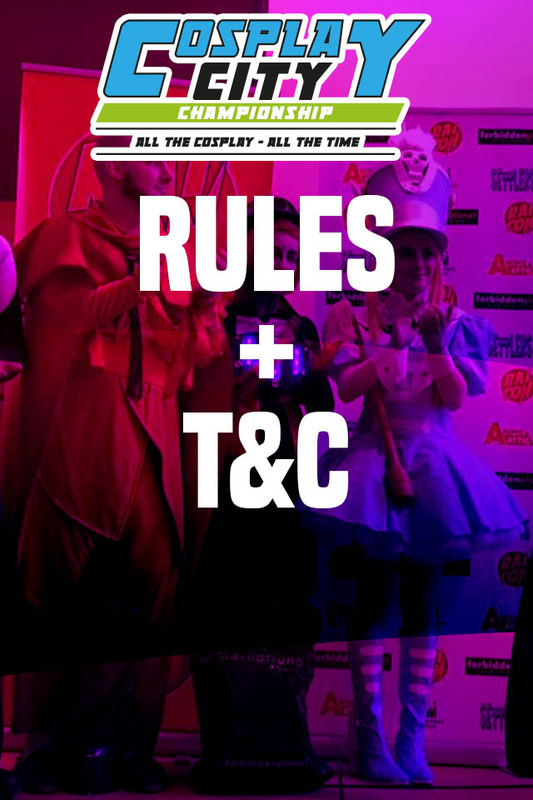 The Cosplay City Championship (C3) Show Masters is a cosplay performance competition with prizes awarded according to a judging criteria outlined below. This competition is for ALL costumes, handmade, bought or altered. Focus is on the performance, not the costume. Sign up in advance only via the online form found in the cosplay section of the website. First Prize will gain the title of Show Master, the C3 Performance award. If you enter as a pair or as a group then the prize will be split between you. To enter the C3 Show Masters you will need to register and apply online (we recommend registering as early as possible before the convention). There will be no entry on the day. Registration will close at 5pm on the Wednesday before the event. They will be emailed confirmation of entry within 1-2 days of submitting. Costumes are permitted from any form of popular media. This includes, but is not limited to, comic books, films and television, video games, anime & manga, tabletop gaming and original designs. Costumes are expected to conform to a certain level of decency as this is a family event. Costumes considered inappropriate will not be allowed to enter. If you are unsure if your costume is suitable, please email cosplaycitychampionship@gmail.com to discuss..
Each judge will award a maximum of 20 points to each performance. 5 points for entertainment – How entertaining your performance was and if you pleased the crowd, and judges. This will look at how enthusiastic the performance and the reaction to it. 10 points for creativity – This will consider how much though you put into your performance. Does it suit the character and was it executed well. 5 points for the use of the stage – This is how well you used the space available on stage for your performance and your use of props. The time limit for your performance is 1 minute. Your time on stage can be less than this, but please do not exceed it. We encourage you to be as flamboyant as possible during your time on stage. If you require a microphone for a spoken performance then please let the Cosplay Desk know when you sign up. Please do not swear or use offensive language on stage, you risk being banned from future events if you do. Please do not throw or fire anything into the audience for safety reasons. Please provide the music or soundtrack to your performance by including it as a youtube link on the application form in the correct section or email it to cosplaycitychampionship@gmail.com Please also bring a copy on the day via usb stick. If you do not want any music or soundtrack for your performance then please make this clear on your form.